Segregation. It’s a word with a perfectly bad score for connotation. 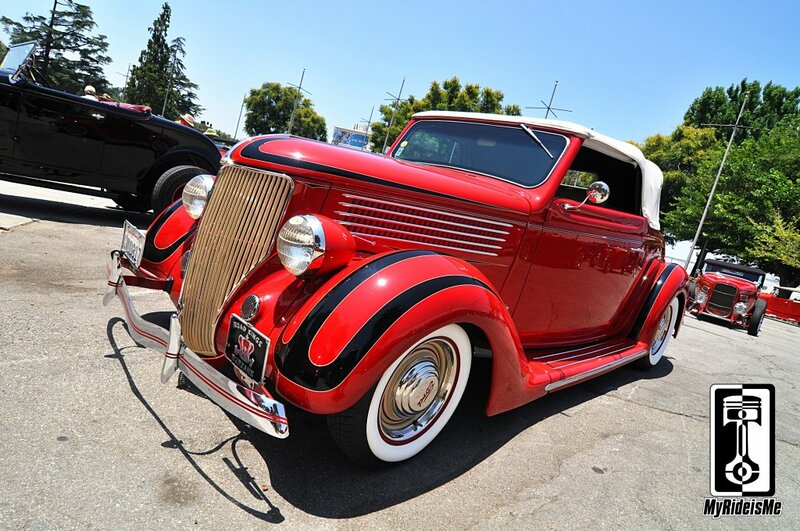 I’m hear to give it a boost and say… It works at the LA Roadster Show. Over here, a fantastic swap meet when you’re looking for that obscure 50s original part for your Caddy… Over there, a car show fit for everyone. 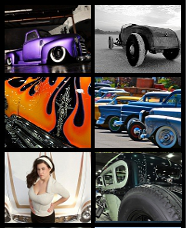 Trucks, traditional hot rods, nose up street gassers and even a laid out Econoline van. I happened to nab owner Todd Stevens behind his nasty, injected Hemi powered deuce hot rod roadster in the shot on the right. Todd also has a driven-hard 1968 Shelby and a jaw dropping Merc. Dude knows his rides. 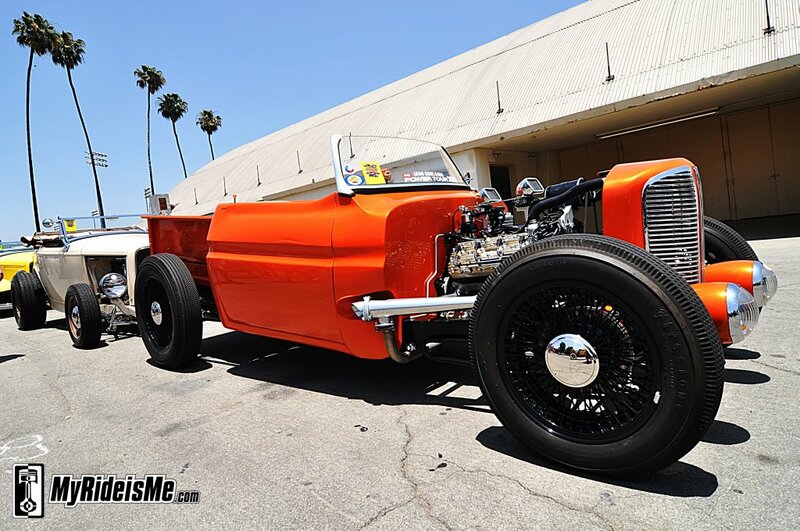 Above for Todd’s roadster, directly above for this 34 Ford Roadster and then below for the truckster (first shown at SEMA) owned by my friend Dennis Overholser of Painless Performance, the orange was glowing in the California sun! Dennis said the LA Roadster Show was on his bucket list of shows to do, but since he worked the Painless booth for most the day, I shot this and sent it to him. Anyone notice the missing “mens room” sign and that big-old vent thing that was on top of the building? (and sticking through the windshield of my shot!) Hooray for photo editing! As you can see, the roadsters were lined about 10 deep. 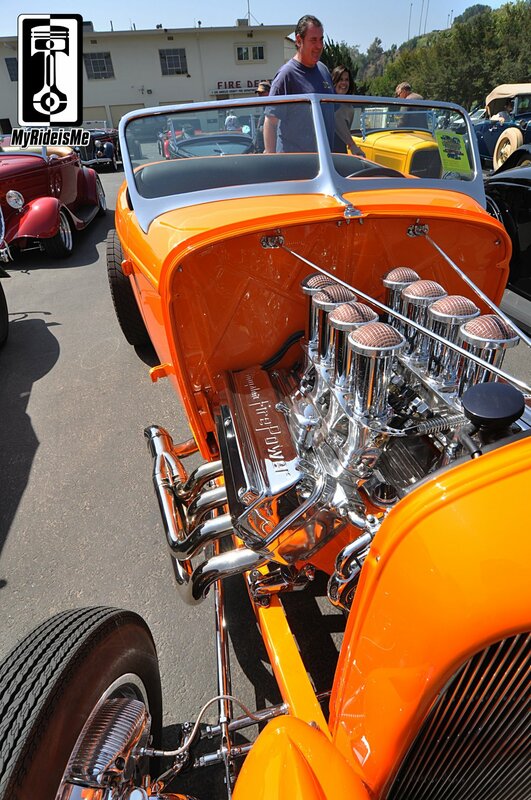 Getting it just right here, and showing near perfectly in the Socal sun, this hot rod T-bucket had all the right stuff served on a plate of awesome. 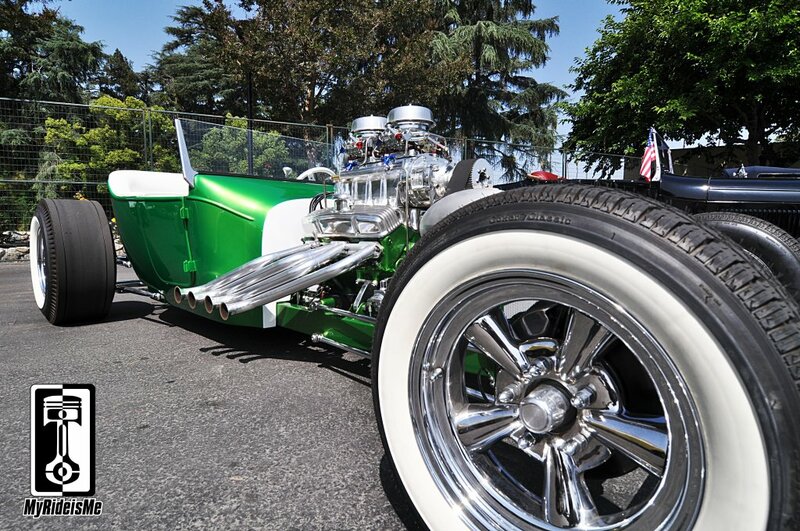 Blown small block Chevy (looks like), polished five-spokes wrapped up in Coker Classic White Walls. The only thing missing is the sound. What do you guess? Muffled and mild and blower-whining BEAST! But wait, there’s more! 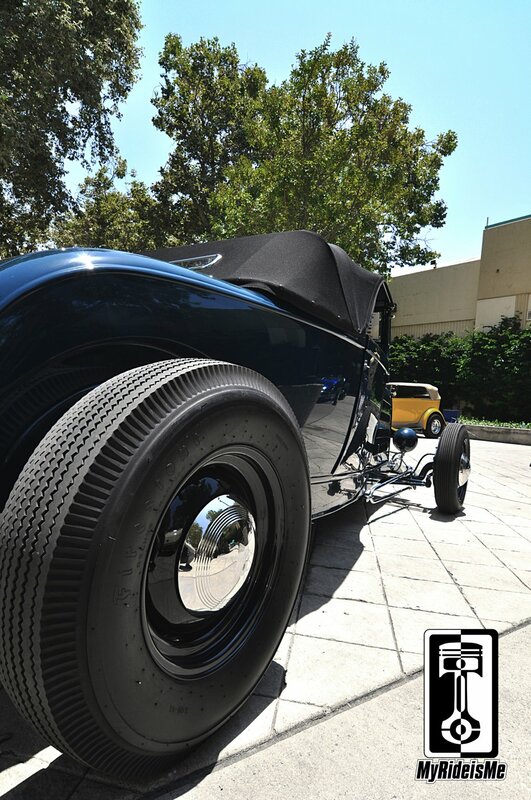 39 more roadster pictures are waiting for you if you need more shots of the LA Roadster Show’s shining beauties. 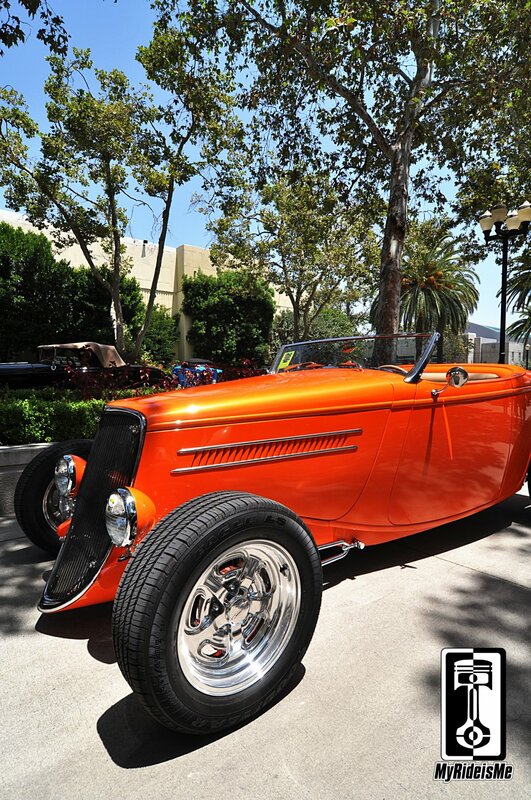 Take a look here: 2012 LA Roadster Show picture gallery. If you need more after that, here’s everything we’ve done that’s LA Roadster Show dating back to 2007. Keep scrolling, it’s 5 pages. Thanks for looking, hope to see ya at the show next year on Father’s Day!